One of the most challenging areas for eating for me is breakfast. I never miss it but because I find myself craving variety often, I have to switch it up. 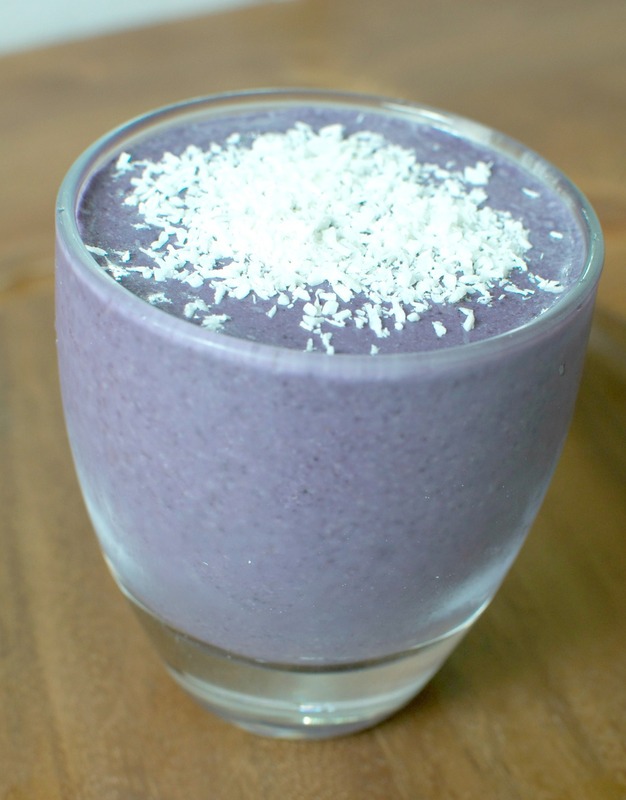 Some mornings I love Avocado Toast or a poached or fried egg on veggies and then there are the mornings that I just want a smoothie like this Blueberry Vanilla Oatmeal Smoothie I made the other morning. I'm going to let you in on a little secret of mine though. I'm not a huge fan of green smoothies. Gasp! The horror, I know especially from a health and wellness coach :) but I've always just been more of a green juice gal instead. However, if it's a smooth and creamy one that somewhat mimics the consistency of a milkshake, I'm so game. Strangely enough, I was craving a vanilla milkshake the other day (for breakfast to boot!) and decided to get a little creative in the kitchen. This blueberry oatmeal variation comes from the vanilla base I created and taste just like blueberry pie but chalked full of superfood deliciousness instead of sugary stuff our body doesn't really need nor like. How to make: 1. Place all ingredients in a blender. I use a Vitamix and love it. They can be a little pricy but totally worth every single penny. Combine until very smooth and creamy. I add about 1/2 cup to 1 full cup of ice to thicken up if need be. If you try it out come back and tell me what you think! I've been on a soup kick this last week. Partially because my hubs is out of town in China and I haven't felt like cooking big meals and also because it's colder here and the days are laced with fog and rain. I need something to warm me to my core and the ingredients in this soup I came up with do just that.I'm always so inspired by Asian foods. The flavors are so bold and I love that. And I never turn down a super spicy meal. The hotter the better!